Snap off the tough ends and remove strings from green beans. Cut green beans in half. 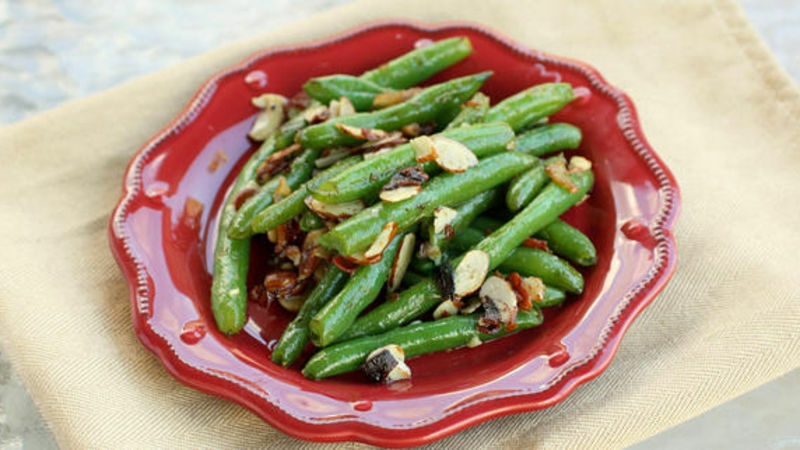 To make the green beans more festive for the holidays, add 1/4 cup of dried cranberries.